Leandro Barbosa is a Brazilian professional basketball player, who plays at the guard position with the Toronto Raptors in the National Basketball Association. In Brazil he is nicknamed "Leandrinho" (Little Leandro), and in the USA he is nicknamed "The Brazilian Blur", referring to the fact that he is one of the fastest players in the NBA. First-round draft choice (28th overall) by San Antonio in 2003; June 26, 2003: Draft rights traded by San Antonio to Phoenix for a future first-round pick; July 14, 2010: Traded by Phoenix with forward-centre Dwayne Jones to Toronto for forward Hedo Turkoglu. Averaged 9.5 points, 1.6 rebounds and 1.5 assists in 17.9 minutes … Saw action in a career-low 44 games… Averaged 13.8 points in five starts … Scored in double figures 18 times, including two 20-point efforts … Suns scored 100 or more points in 40 of his 44 games, averaging 113.1 points with him and 106.9 points without … Became just the third Sun in franchise history Mar. 28 to reach 700 three-pointers made in a Phoenix uniform (Nash, Majerle) … Underwent surgery Jan. 26 to remove a cyst in his right wrist and missed 23 games … Missed the first 12 games of December with a sprained left ankle after landing on a defender’s foot while attempting a three-pointer Nov. 29 at Toronto … Started the first two games of the season in place of Jason Richardson and averaged 20.5 points, including a season-high 24-point effort Oct. 30 vs. Golden State. His brother Arturo, who was a member of the elite Brazilian Special Forces, introduced Leandro to the sport of basketball when he was five ... Speaks Portuguese and English ... Has a 6-10 wingspan and grew a half-inch during the 2006 offseason … Participated in the NBA’s Basketball Without Borders Americas community outreach program in his native country Brazil in 2004, 2006 and 2007 … Became the fourth Brazilian to play in the NBA following Rolando Ferreira (Portland, 1988-89), Joao Jose Vianna (Dallas, 1991-92) and Nene (Denver, 2002-03). 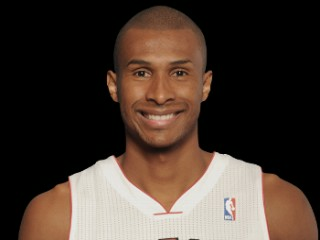 View the full website biography of Leandro Barbosa.